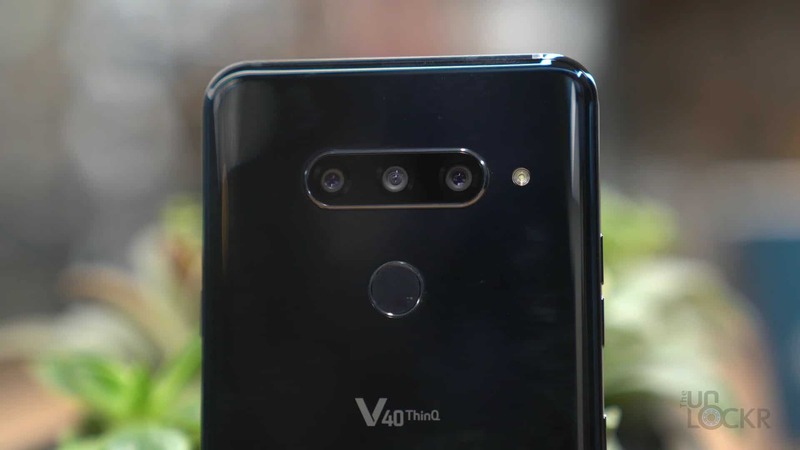 You are here: Video » LG V40 ThinQ Complete Walkthrough: Three Cameras Done Better? LG just launched their latest flagship the LG V40 ThinQ, their foray into a five-camera phone which I’m kind of excited about (we’ll talk about why in a sec). And since they were kind enough to send me one, I figured I’d do a complete walkthrough on it for you guys. If you aren’t familiar, a complete walkthrough on my channel is where I try and go through every feature I can and test a device so you guys are better prepared should you be in the market to buy one. With that said, we have a lot to go through, so let’s start with the hardware. 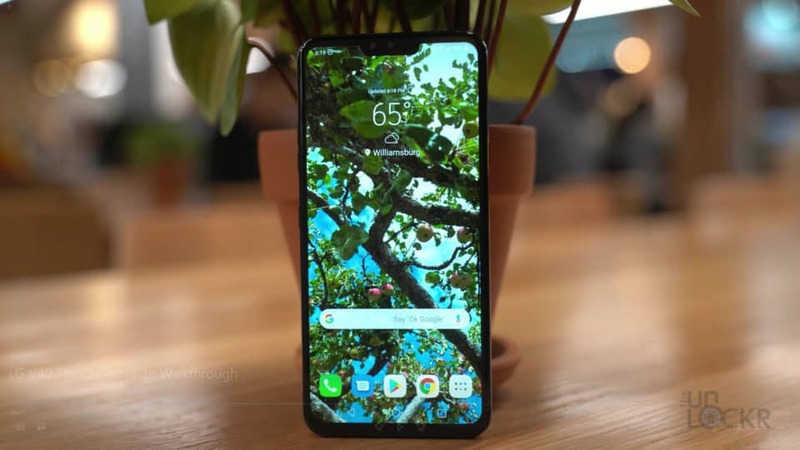 The new LG V40 ThinQ is made out of Gorilla Glass 5 on the front and back with an aluminum frame. 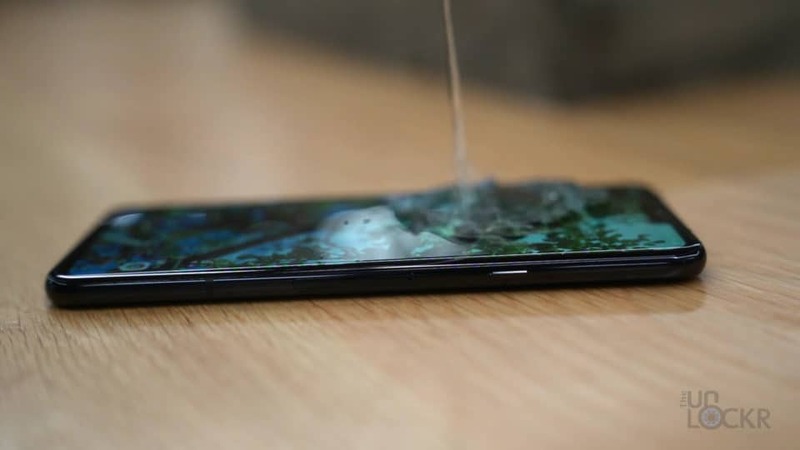 It’s probably one of the thinnest and lightest larger devices out there right now weighing 5.94 oz compared to the iPhone XS Max’s 7.34 oz and it’s 0.31mm thick. On the front, we have a 6.4″ OLED display with a 19.5:9 aspect ratio, a 3120×1440 pixel resolution, and support for HDR10. 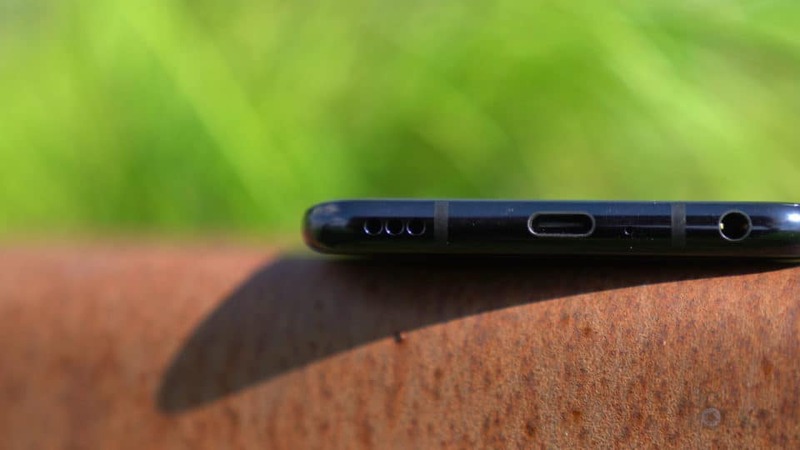 And, yes, there’s a notch. But, you can hide it in settings under Second Screen if you want to. 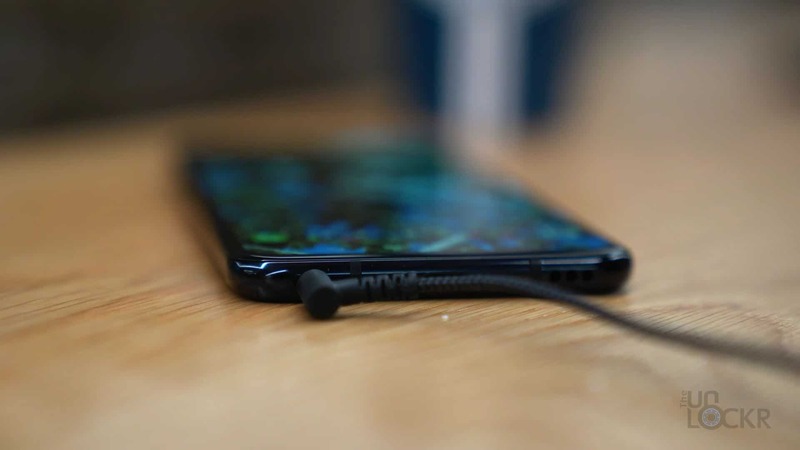 Inside that notch, we have two front-facing cameras. One is an 8MP f1.9 80-degree field-of-view lens and the other is a 5MP f2.2 90-degree field-of-view. Now, 10 degrees doesn’t sound like much but it is enough to get in a few extra friends into the selfie (personally I would have rather they did a wider secondary camera to make for a more varied option but there you go). 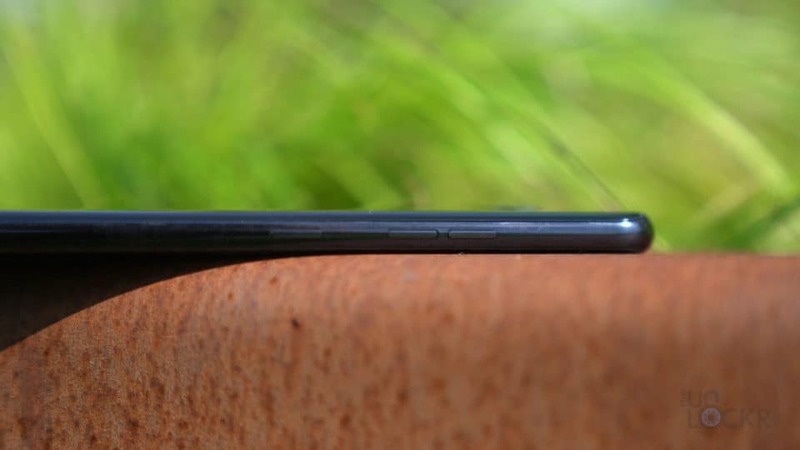 Below the screen, we have our thin bezel. On the right side, we have our power button and our SIM card/MicroSD card slot combo. On the left, we have our volume buttons and our dedicated Google Assistant key that you can use to bring up the voice assistant that also let’s you use it walkie-talkie style so you can hold it down while you talk to it and let go when you’re done which further increases accuracy since it knows when the command begins and ends and can separate it better from the background noise (which I like). On the top, we have nothing but a microphone hole. 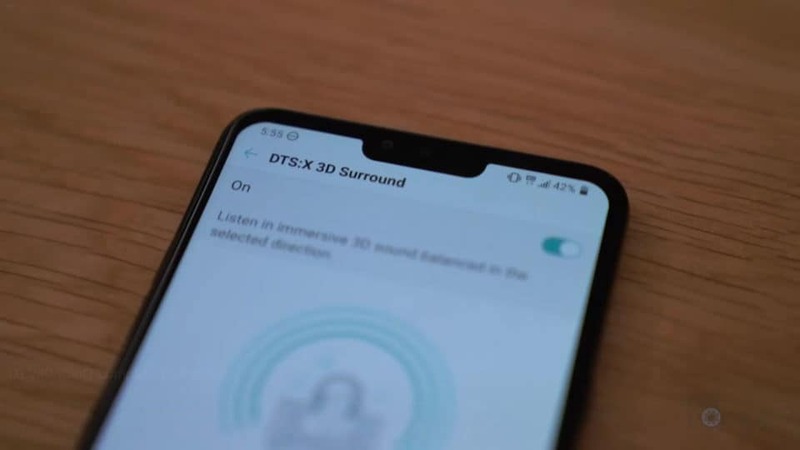 At the bottom, we have our USB 3.1 Type-C port and our speaker which supports LG’s BoomBox Speaker function meaning it has an echo chamber inside to produce a larger sound. Also, on the audio front, this wouldn’t be an LG V-series if it didn’t also have a 32-bit Hi-Fi Quad DAC built-in to allow you to play back higher quality audio from the device’s 3.5mm headphone jack, and it’ll also support DTS:X 3D Surround Sound. 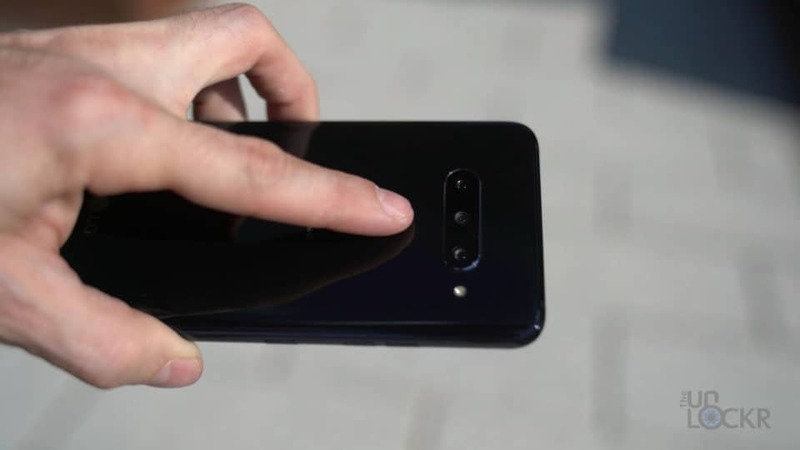 Moving to the back, we have our fingerprint sensor a bit higher in the middle, which I think is the most natural place for your hand to go actually. We have our LED flash next to our not one or two, but three cameras. 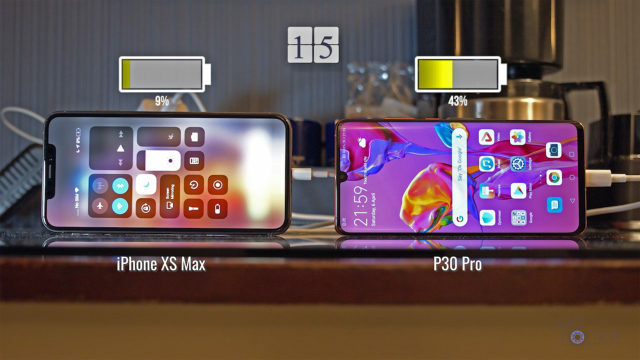 Now, we’ve seen this setup on the Huawei P20 Pro (of which I’m a big fan), but this is a little different. Instead of a monochrome, color, and 3x telephoto, we have three different focal lengths (which I think is way more useful to me). 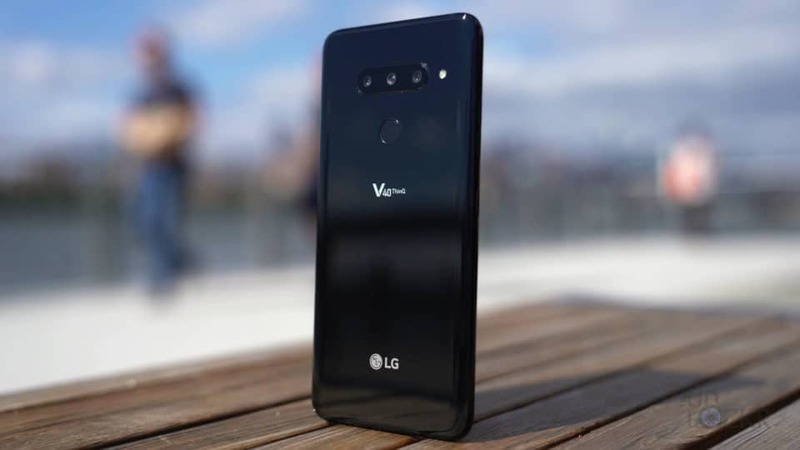 We have a super wide because LG is becoming known for it at this point, that is a 16MP f1.9 107-degree field-of-view camera, then a 12MP “standard” camera that has an aperture of f1.5 and a 78-degree field-of-view and a 12MP 2x telephoto f2.4 lens with a 45-degree field-of-view. 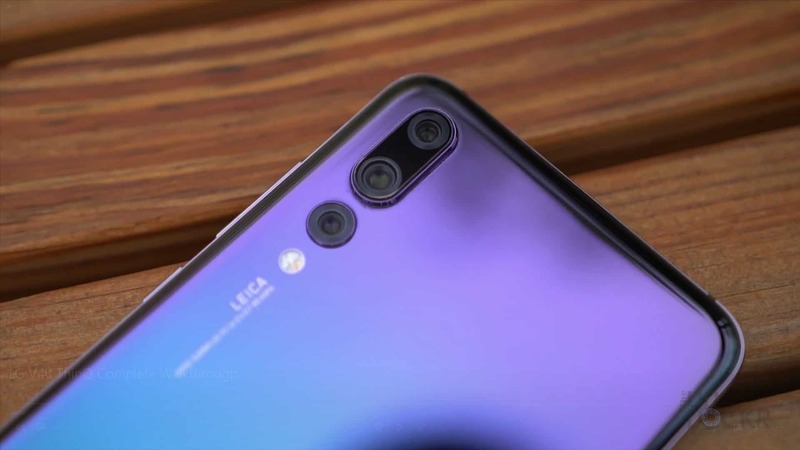 Personally, I’d have liked to see a further zoomed-in lens like the 3x on the Huawei to give me more range as I think 2x isn’t different enough from the standard, but still, I love this idea of having multiple focal lengths so I can feel like I have my real camera and my zoom lens. It just means I have so many more options with the phone camera for framing a shot that I usually don’t when using a phone. It’s almost like having interchangeable lenses without having to carry the extra lenses. 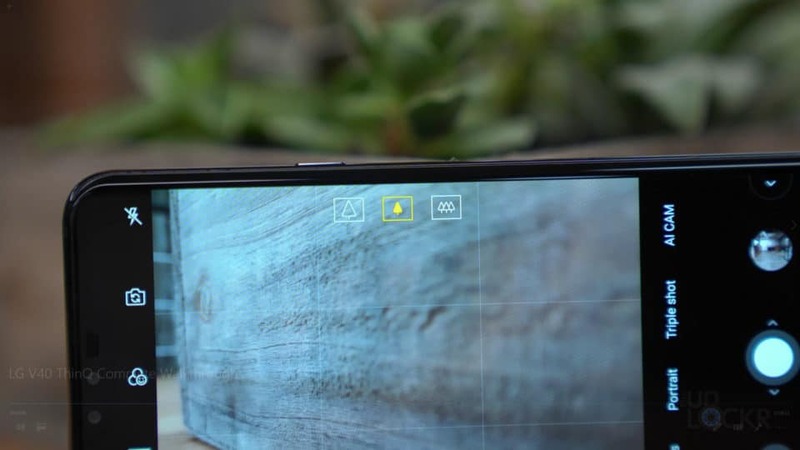 Honestly, I’d be excited for a phone with 5 different focal length rear cameras for even more options instead of having to carry around external lenses that sit over the main lens, etc. The standard lens has 1.4-micron pixels which means it’ll let in more light in low-light situations, it’s the only optically stabilized lens of the three sadly (the other two have EIS), and it’s the only one with Dual Phase Detection Autofocus which is super quick. Now, we’ll go into the cameras, their software, and the photos, in more detail shortly, but first let’s finish with the hardware. 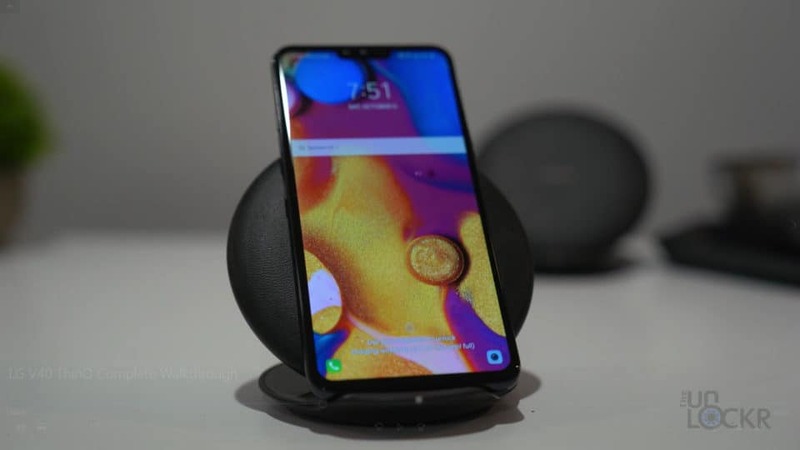 The device is capable of fast wireless charging (a good reason for the glass back) of the 3300mah battery that’s inside the device and also supports Qualcomm’s Quick Charge 3.0 to go from dead to half power in 30 mins or so. 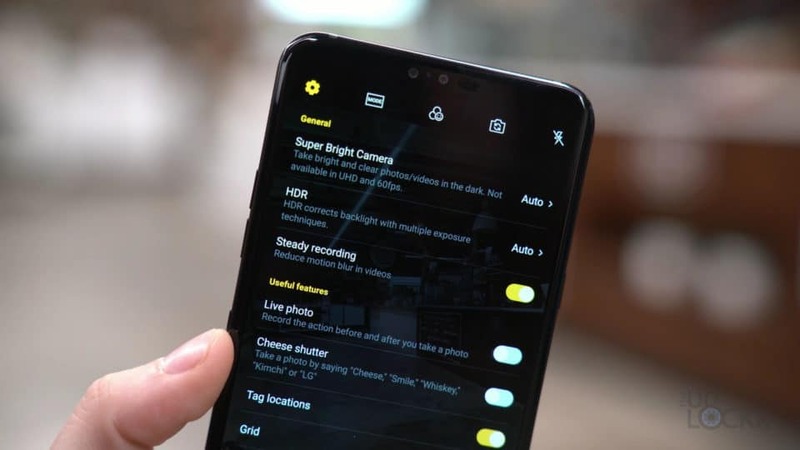 Now, LG stated that even though this battery is 30% smaller than the Note9, they managed to get 90% of the battery life of it. 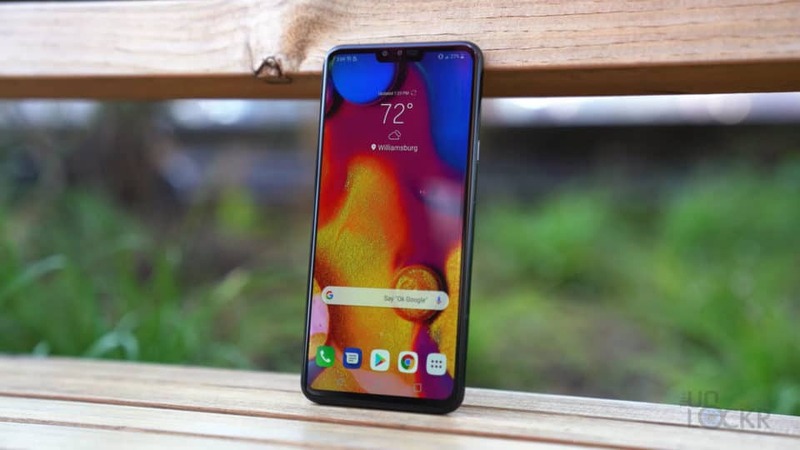 Powering the device we have the Qualcomm Snapdragon 845 processor, 6GBs of LPDDR4 RAM, 64GBs of internal storage, we also have NFC, WiFi 802.11ac, and Bluetooth 5.0. The device is IP68-certified so it can handle 2 meters of water for up to 30 mins as well as being military spec certified. The device is running Android 8.1 with LG’s own UI on top. And since it’s similar to any other version of Android, I’m just cover what LG has added to the device instead of going through the entire OS. Google Suite: Most likely due to a tight partnership between LG and Google, the entire Google Suite of apps is basically on the device. From Docs, to Mail, to Duo, Google Drive, etc. QuickMemo+: LG’s own note-taking app. Music: LG’s music player that plays whatever music you have installed on your device and also has a Boombox Show feature that plays visuals and can blink the LED to the music if you want. LG Health: Their health app that tracks steps, weight, let’s you compete against othhers with LG Health, etc. 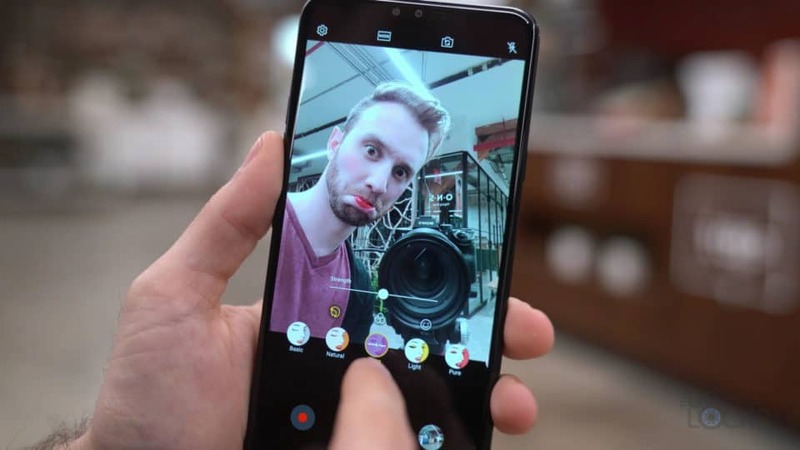 HD Audio Recorder: A standard now in LG devices, it’s a great little app that let’s you record audio on the phone that I have even known some YouTubers to use to record their voice overs with so that says something to me. FM Radio: If you have a headphone plugged in it can use that as an antenna and pick up local FM radio stations. Update Center: LG’s app for updating their own apps as well as the phone’s over the air updates for the OS. LG SmartWorld: Their own app store. Now, let’s check out those five cameras. You can get to the cameras by double-tapping the power button (which I always appreciate) and once in there, the first thing you notice is the new three-camera icons at the top of the viewfinder. These are how we can switch between the telephoto, regular, and ultra-wide lenses. 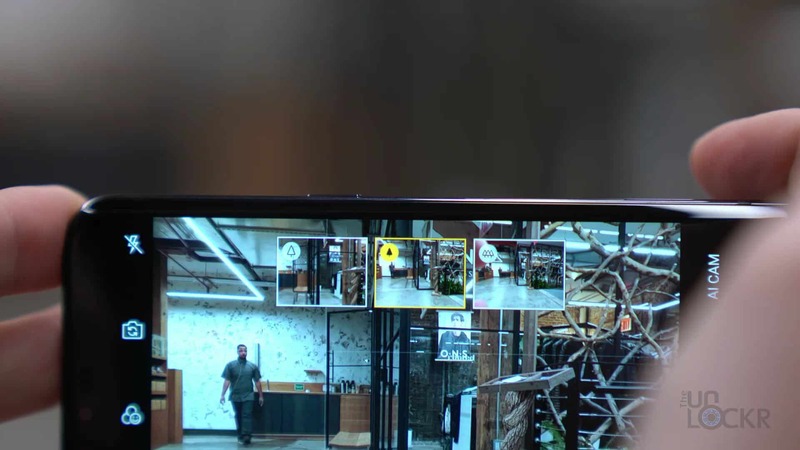 You can also tap and hold on these to be able to see a live preview of each of the cameras at once and you can even tap on the triple shot setting and take a photo and it’ll take all three photos at once. You can then see each of the photos in the gallery and there will also be an automatic gif comprised of zooming in from the ultra-wide to the normal to the telephoto (albeit with not the best animations). 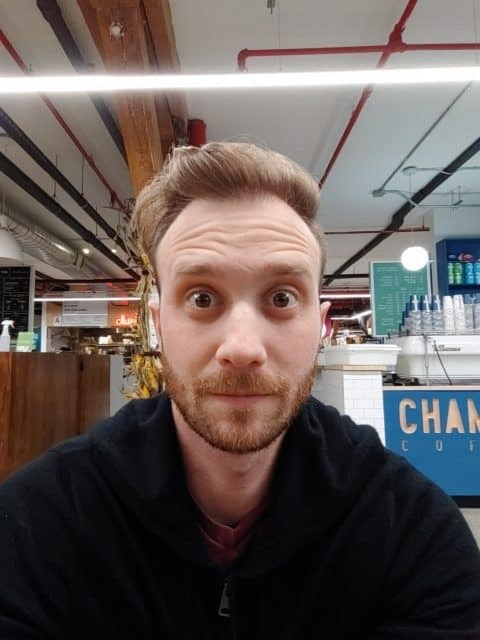 We have a portrait mode that uses the ultra wide and normal lens info instead of the usual telephoto and normal of other devices to separate the foreground and background to give a better bokeh effect. This is significant though in that it doesn’t require you to get further away from the subject as you do with the telephoto-enabled ones (since they have to use the telephoto you have to zoom in for them to work). 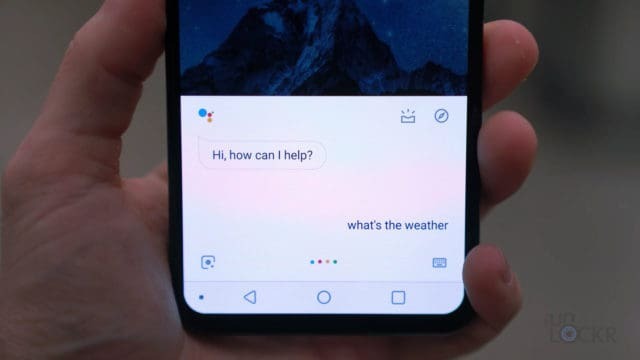 We also have Google Lens available directly in the camera which is Google’s own AI camera for shopping, images searches, etc. And we have LG’s AI Cam which is their version of scene detection that chooses from a number of different scenarios and tries to adjust the camera settings for a better shot of that particular thing (personally I turn this off on every device as I don’t feel like it ever does what I want it to and I can just adjust the image after myself instead, but maybe that’s just me). Auto: The normal fully automatic camera mode. Manual Camera: A mode that lets you make changes to camera settings like ISO, Shutter Speed, etc. Manual Video: This is the same as the manual camera mode but for video instead. 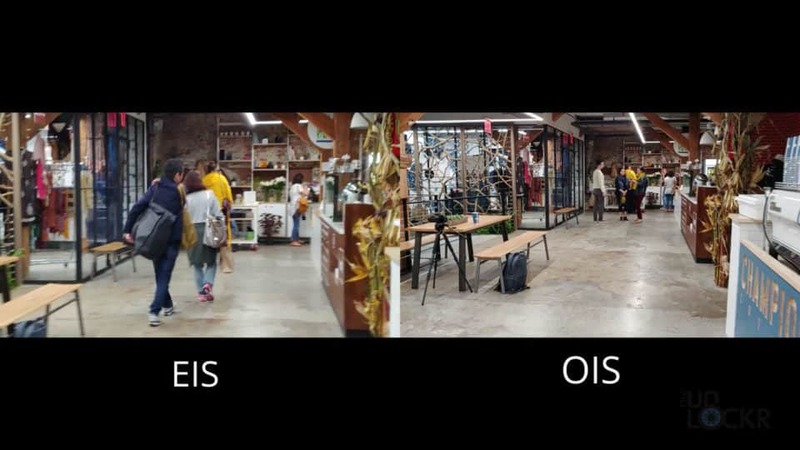 Cine Video: This is what we first saw on the V30 last year that allows you to shoot in a version of log or neutral video that then allows you to add looks (called LUTs or look up tables) to it to get a specific look. Or just shoot directly in their version of log to be able to capture more detail in the video and then edit it more precisely in post production. Food: This bumps up the saturation and gives you a white balance slider. Panorama: The normal taking of multiple photos and having it stitch them together that all phones do nowadays. Flash Jump-Cut: Takes 4 photos, one every 3 seconds and stitches them together to create a gif. Cine Shot: This is a way to create cinemagraphs or photos that have an element that moves in them. You take the short video then you can color in the part you want to keep moving. If you plan it out it can make for some clever-looking (or even amazingly creepy) shots. There are a bunch of apps on the Play Store that have done this for a while though. Time-Lapse: Let’s you record a video at a slower frame rate that’ll playback as a fast motion one. 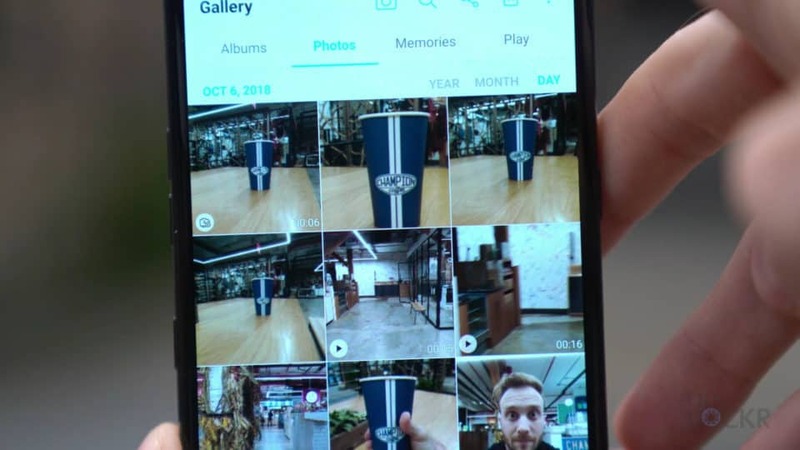 360 Panorama: Similar to the old Google Sphere photos, this lets you take a panorama that then can be viewed on the phone and will react to your movements to reveal the rest. 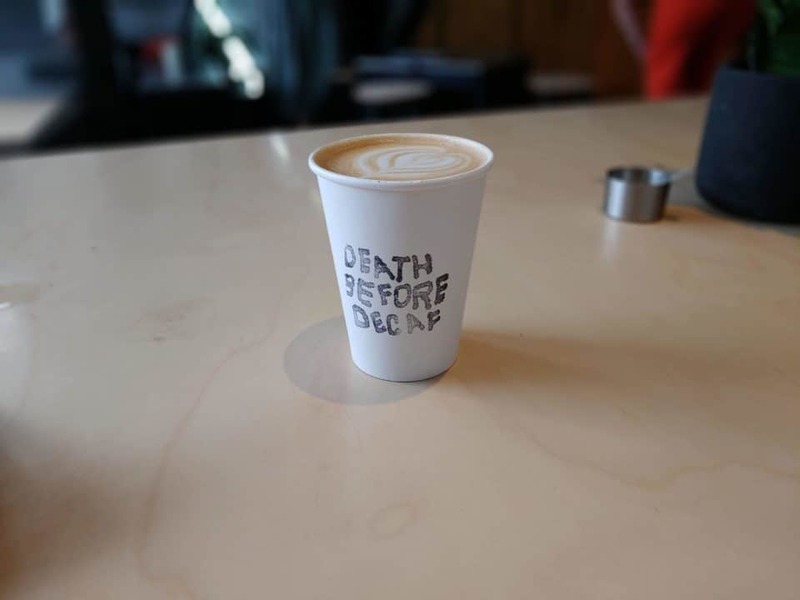 AR Stickers: Basically Snapchat stickers. You can also tap this icon to get more as they become available. 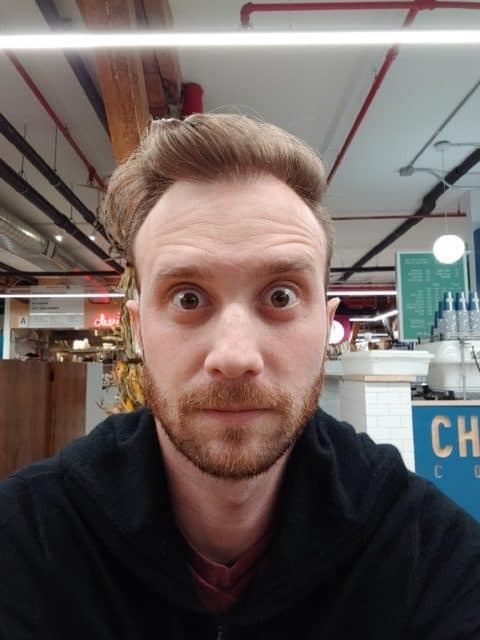 And the front camera has some similar modes but also adds a beauty mode (which I find terrifying on every device that has it but some people might like it, I guess). Super Bright Camera: This basically is a version of automatic HDR where if you can hold still, it’ll take a longer exposure shot and stitch it with other shots it takes to make a better exposed photo in low-light. 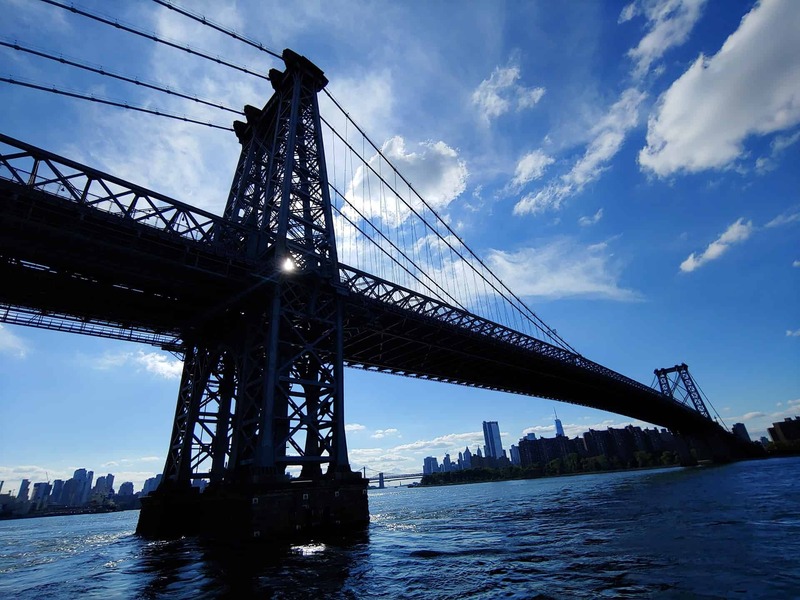 HDR: This is similar to most other devices and takes multiple shots at different exposures in the time it takes to take one shot then combines them for a better-lit shot. Just leave this on basically. Steady Recording: This uses software to help electronically stabilize shots. Live Photo: Similar to Apple’s, this takes a few second clip before and after a photo that can be played back in the gallery. Cheese Shutter: This allows you to take a photo by saying cheese, smile, whiskey, kimchi, or LG. Tag Locations: Same as most cameras it adds location metadata to the photo for organizational reasons if you want. 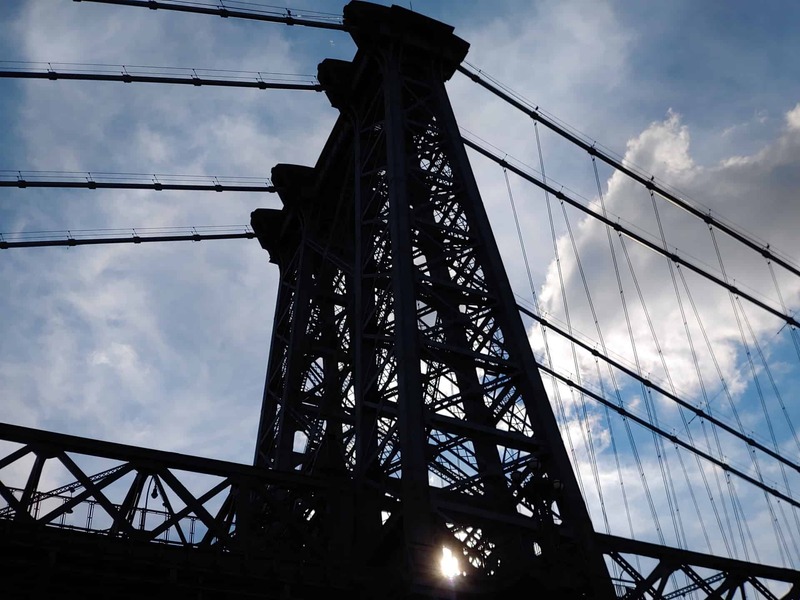 Grid: Turns a rule-of-thirds grid on (which I always use by the way). 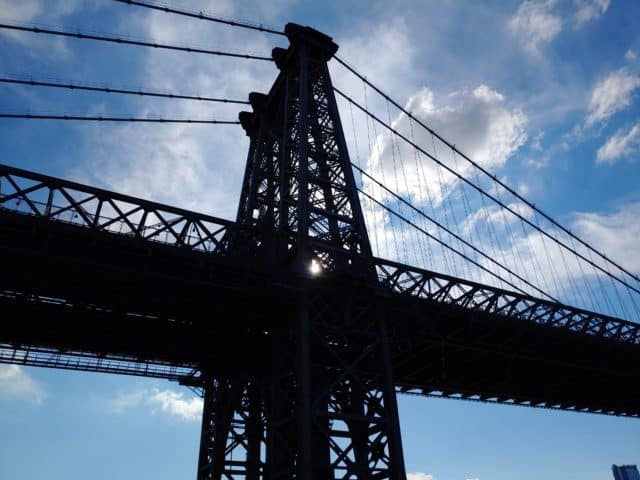 Add Signature: Puts a watermark of your choice in the bottom right corner of every photo you take. FullVision: Turns the aspect ratio to 18.9×9 to fill your device screen. Camera Resolutions: We have multiple camera resolutions and aspect ratios to choose from up to 12MP 4:3 down to 3.4MP in 1:1. Video Resolutions: Let’s you choose between 720P, 1080P and 4K in up to 60fps (you lose stabilization and ultra-bright camera in 4K/60 by the way). Timer: Set a timer of 3, 5, or 10 secs from when you tap the shutter button to when the phone takes a photo. And finally, it’s available starting Oct 18th and price will vary by carriers in the US, but it’ll start at $900. Here’s the best price I could find on it, by the way. And that’s it guys, subscribe for camera comparisons after some other important devices launch this month as well as battery tests and more. 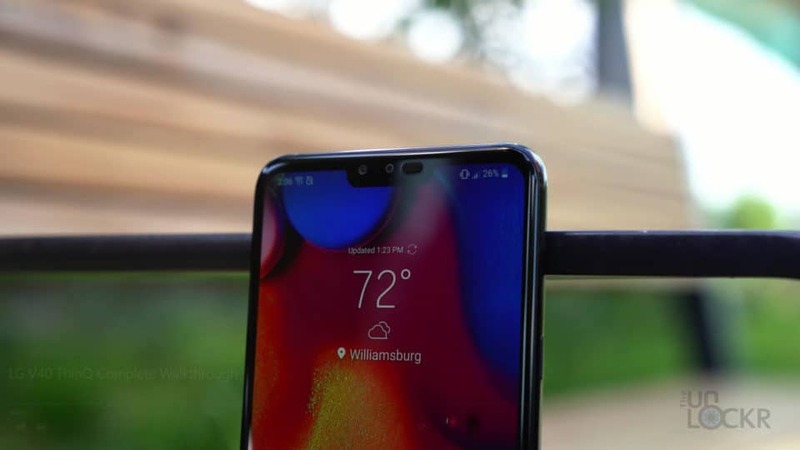 Let me know what you think of the new LG V40 ThinQ.